We believe in the importance of giving a unique character to the products we manufacture. We value creative diversity rather than conformism, and we allow everyone to express themselves in a genuine and different way. 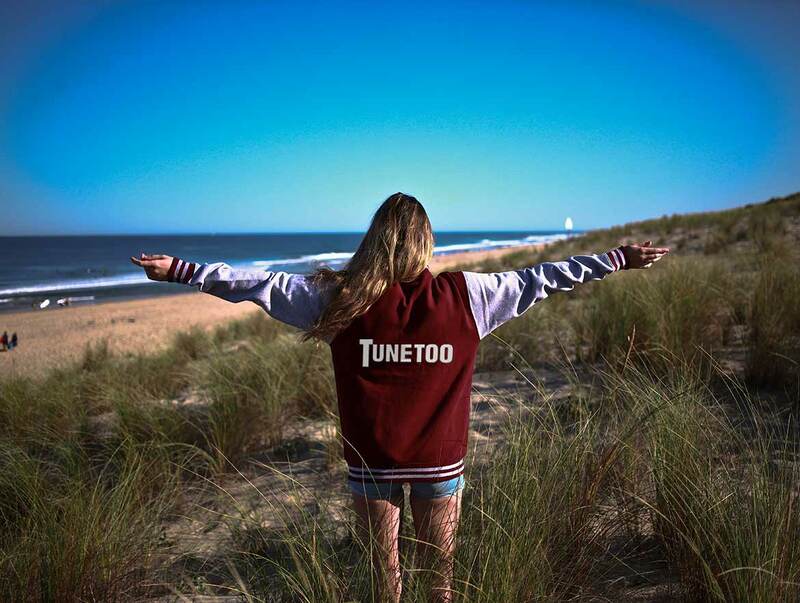 We launched Tunetoo in 2013 with the desire to become a brand focused on humans, which customizes your everyday clothes and objects according to your desire, according to your idea, according to your individual vision. Whether you are a company, an association or an individual, we commit ourselves every time to meet your expectations as closely as possible and to provide a service based on reliability, speed and above all a mutual trust with all our public. In addition to the expert customization service we have been offering for nearly 20 years, we have recently realized a project that is particularly important to us: helping French and foreign artists and designers, not only to acquire notoriety, but also to be rewarded for their talent. For this, we have created the Designer / Reseller Pact, a platform meant for sharing whereby each artist can freely propose his or her achievements for sale. The principle is simple: we take care of the entire logistics process, from production to delivery, and each artist receives the commission of his choice* on each product sold. Combining our know-how and tradition with a project as stimulating as giving life to original creations, seemed to be the most sincere way to promote artistic diffusion and encourage the creative process according to us. All our markings are made internally in our premises in France, in Bordeaux. We do not use any subcontractor, in order to maintain a fully integrated process that allows us to ensure very short production / delivery times, but also a true quality follow-up. This control of the supply chain allows us to be highly responsive and attractive, and to offer formulas ranging from 1 to 10,000 pieces. 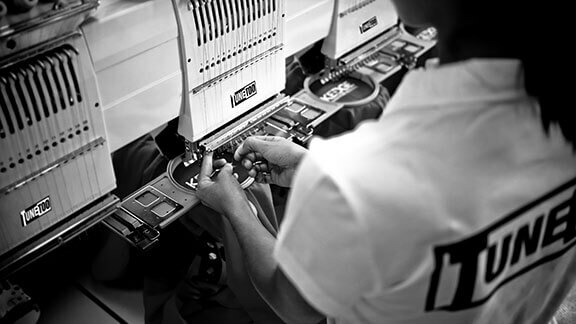 We use printers with the latest technologies used by the largest brands of ready-to-wear clothes. As a result, we guarantee absolute professionalism on 3 customization processes, applied with precision in our Bordeaux workshops. The first option is that of digital printing through two practices: direct printing (which consists of marking the support with a specific inkjet printer) and sublimation (used for white polyester fiber textile). You can also customize your product in flex & flock, a process that consists in transferring a soft and fine material cut in a vector pattern using a thermal press. And finally, if you want to acquire a product with higher marking, we also have the solution thanks to our long-standing expertise in embroidery. The number of possible print colors is unlimited, and these colors are rendered in high definition with an intense rendering and a fair opacity. The good behavior when washing is verfied, and perfect. We take pride in offering beautiful and elegant products, selected especially for their high quality, comfort and their capacity to last. 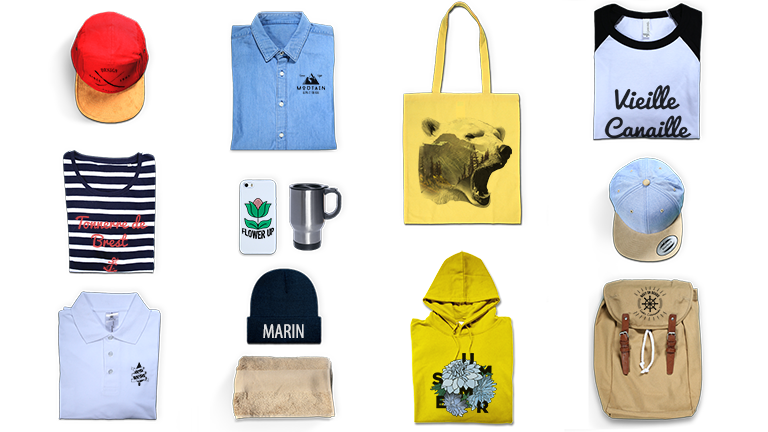 From the organic cotton sweatshirt to the urban backpack, passing through beanies, snapbacks and travel mugs, we continually renew and improve our range of products in order to offer an ever broader choice for our audiences. When a brand grows and its activities are in constant growth, there is always a risk that satisfaction with the manufacturing process will deteriorate, and that the initial passion will become a repetitive task. To avoid this, we are anxious to maintain the pleasure we have in making products that will be appreciated by their users. Because it is important to remain sincere and true to our original intentions, we have founded an internal culture based on communication, transparency, and the exchange of ideas. In order to maintain a positive harmony and to reinvent one's self constantly, but also in order to be proud of what we accomplish on a daily basis.